A group of farmers started Kent & Essex Mutual Fire Insurance Company in 1888 to insure against damages due to fire and lightning. They operated as agents, directors, and policyholders of the company. At that time they operated under a premium note plan and the policyholder signed a 3% note equal to the amount insured. They followed this plan till 1982 and the policies were for a 3-year term. They stopped the premium note system in 1975 since the Fire Mutual Guaranteed Fund started that year by fifty-two mutual companies. This was a fund to protect the insured when any member company was out of business. They changed the name to Kent & Essex Mutual Insurance Company in 1982. Though they had plans to start auto insurance in 1928 they only started to offer car insurance in 1992. Today Kent & Essex Mutual insurance offers a whole range of auto, home, commercial and farm insurance products. These are distributed by a broker network across the Essex county and Chatham-Kent Municipality. They mainly offer farm insurance and these amounts to 32% of the total business. There are 18000 policyholders and also includes the board of directors. Policyholders get profits in the form of refunds. Kent & Essex offers discounts on car insurance policies for various criteria. Farm: Farm vehicles may qualify for a discount. Multi-Vehicle: When you insure at least 2 or more vehicles in your household with Kent then you may get a discount. Multi-Policy: If you insure your home and car insurance with Kent then you may qualify for a discount. Long Term Policyholder: You may get a discount when you have insurance with Kent for at least 3 years. This discount is also known as a loyalty discount for long term insurance. Retiree discount: Retired drivers and not at work since 26 weeks or more in the last 52 weeks may get a discount if they have no source of income in that period. This also includes pension plan and the driver must be aged 65 years or more. 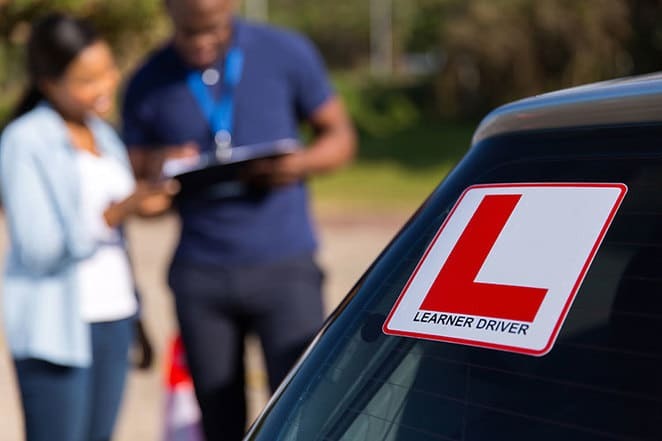 Driver Training: When you complete a driver training course then you may get a discount and this also includes the graduated licensing program. GenNow: Drivers between the ages 16 years to 24 years may get a discount on their policy when their parents also have insurance with Kent. Winter Tire: You may get this discount when you install 4 winter tires during winter. Student Away from Home: When a driver is also a student attending school away from home then they may get a discount. Short Distance to Work: When you commute 5 km or less every day to work then you may qualify for a discount. Mature Driver: A driver aged between 50 and 75 years may get a discount. Theft Deterrent System: When you install an approved theft detecting device then you may get a discount. Kent & Essex Mutual Insurance offers mandatory car insurance in the province as per law. They also offer optional coverage for added protection and insure farm vehicles, private passenger vehicles, commercial and recreational vehicles. You may also purchase special endorsement on your policies for protection. One of them protects your driving record and even when you have an at-fault accident as per conditions. If you wish to cancel your car insurance policy then you may inform your broker. When you cancel they will calculate your refund on a short rate method. So they will deduct a cancellation fee and issue a refund. This charge includes the policy handling costs and a minimum premium amount as per your auto insurance certificate. To make a car insurance claim you may contact your broker. Kent has an in-house staff of 6 who work as claims adjusters and will assist you with your claim. The contact number for the claims department after business hours is 519 971 2887. In case your claim or loss is not urgent then you may also email to info@kemutual.com. An advisor will respond to your query the next business day. For vandalism and theft claims you may report the loss to the police and get a reference number for your claim. It is best to report a claim as soon as possible and you may report an auto claim within 1 year. There are many methods to contact Kent & Essex Mutual Insurance for your queries. Mail: You may mail your documents to the Chatham, Ontario address. Email: The email address to send your documents is info@kemutual.com. Phone: You may contact Kent & Essex Mutual by calling 519 352 3190 or 1800 265 5206. Fax: The number to fax your documents is 519 352 5344. Broker: There is an online option to search for your local broker. Kent & Essex Mutual is one of the 40 members of the Ontario Mutual Association. To get a car insurance quote you may contact your broker. They have many brokers across southwestern Ontario. There is also an option to get a car insurance quote online. You may start your quote estimate by entering your name and postal code. The same online form also helps you with a quote for home, tenants or condo insurance too. We are not affiliated and make no representations or warranties, recommendations or endorsements of Kent & Essex Insurance. This article is our review of Kent & Essex Insurance for information purposes only. The logos, trademarks, and copyrights mentioned in this article belong to the Kent & Essex Insurance.